Hey look! The husky club is here! 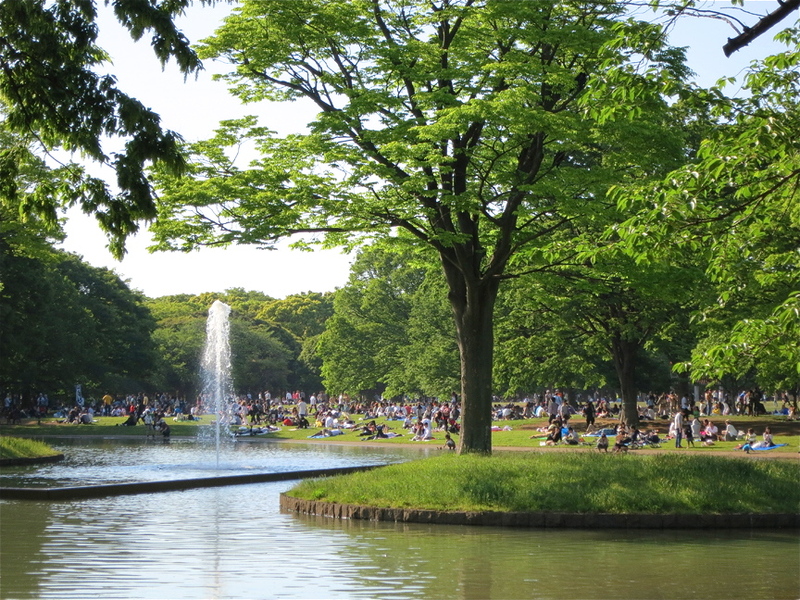 The best free entertainment in Tokyo – from rockabillies to skateboarding dogs – Yoyogi Park never disappoints. 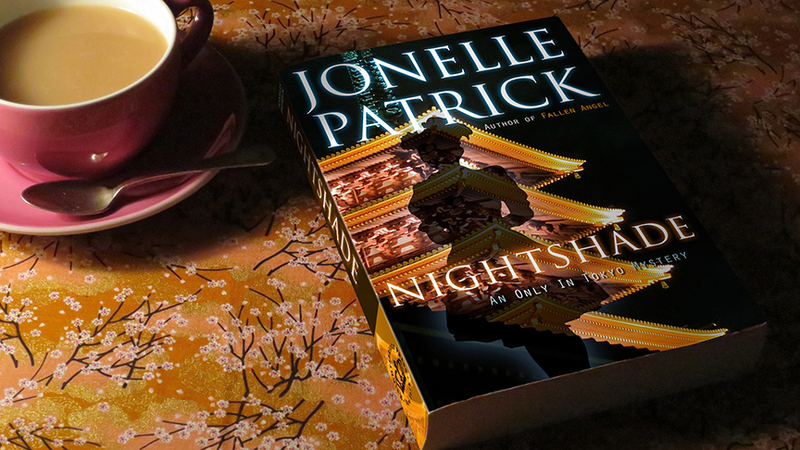 …but on Sunday it turns into the best free show in Japan. 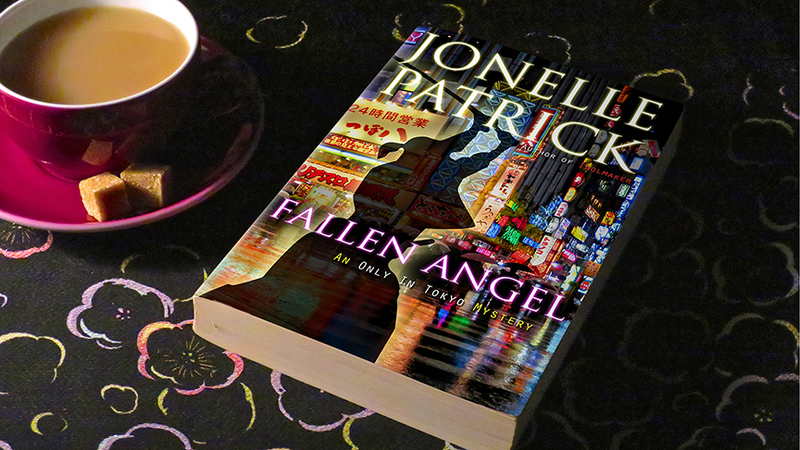 Right outside the gate, let’s stop and watch the rival rockabilly clubs as they dance their hearts out. 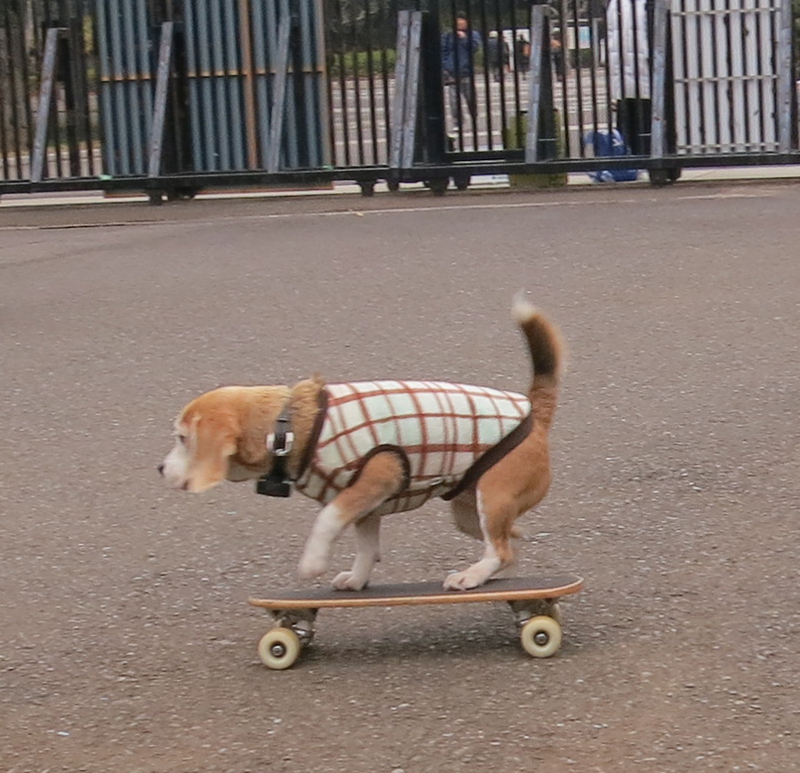 Hey, it’s the famous skateboarding beagle! This dude can actually push off and hop on, all the way through the park. 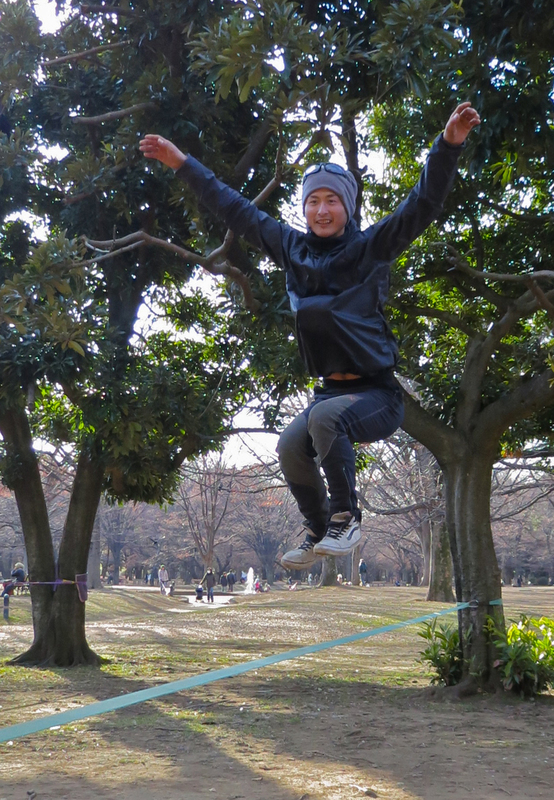 Let’s go over and see who’s on the slackline. Want to try? 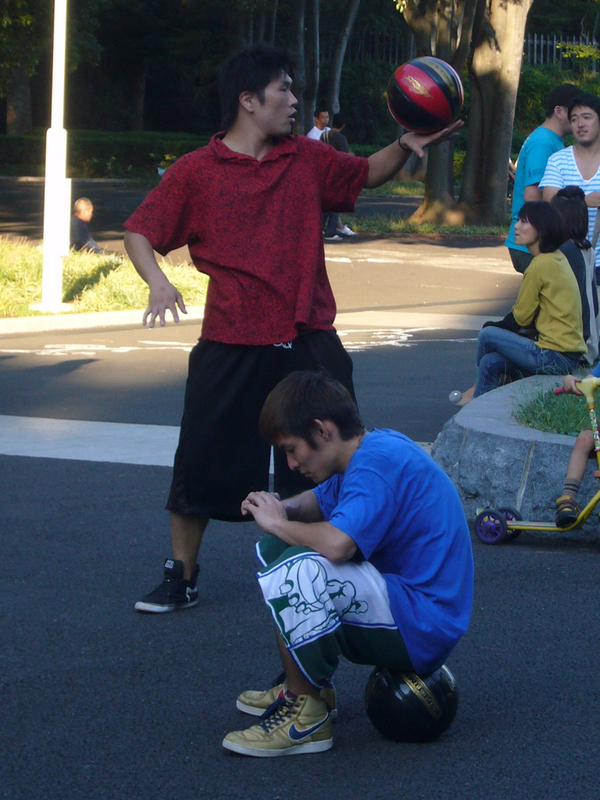 Check out the contact jugglers. Can you imagine how many hours of practice it took to be able to do that stuff? 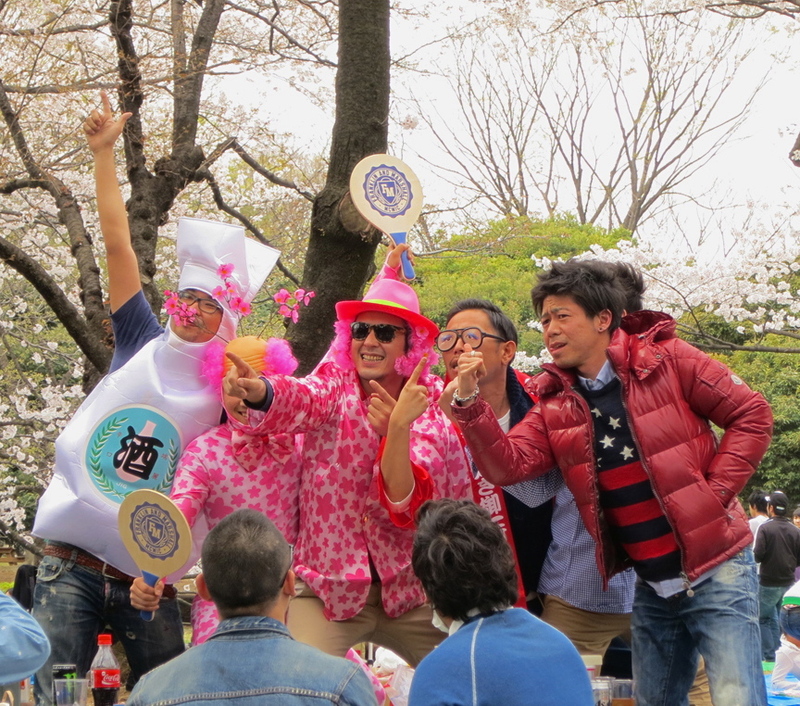 People celebrate holidays with exuberance in the park. 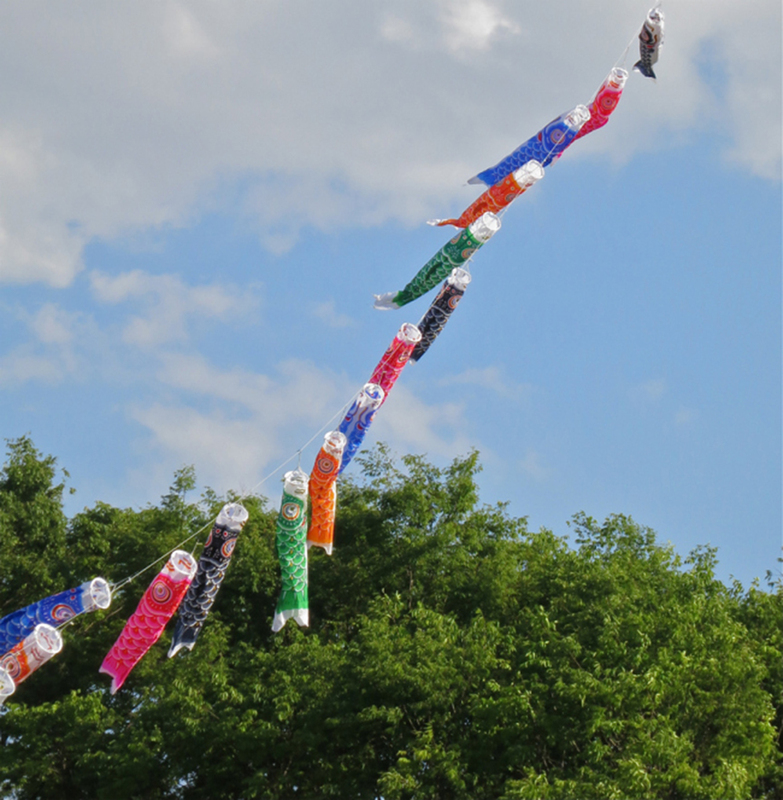 This guy hooked koi nobori onto his kite for Boys Day. 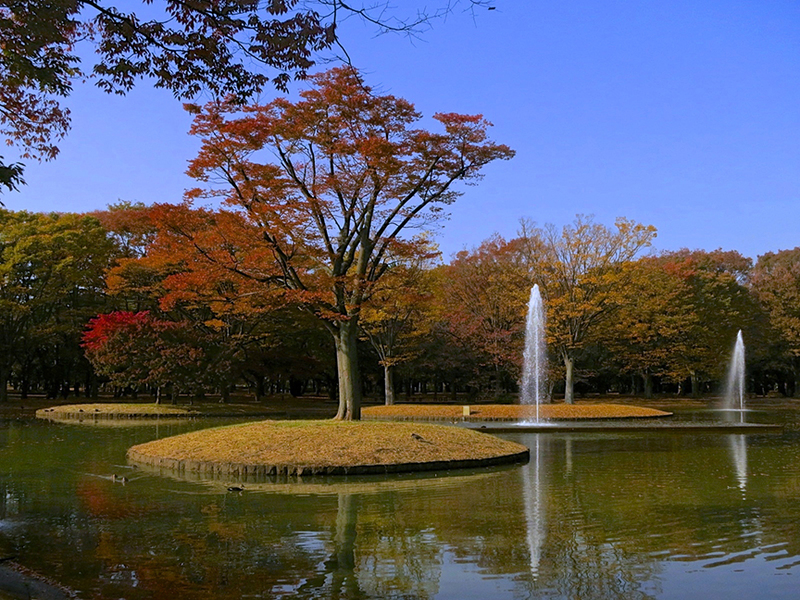 The park is a beautiful place to walk, every season of the year. 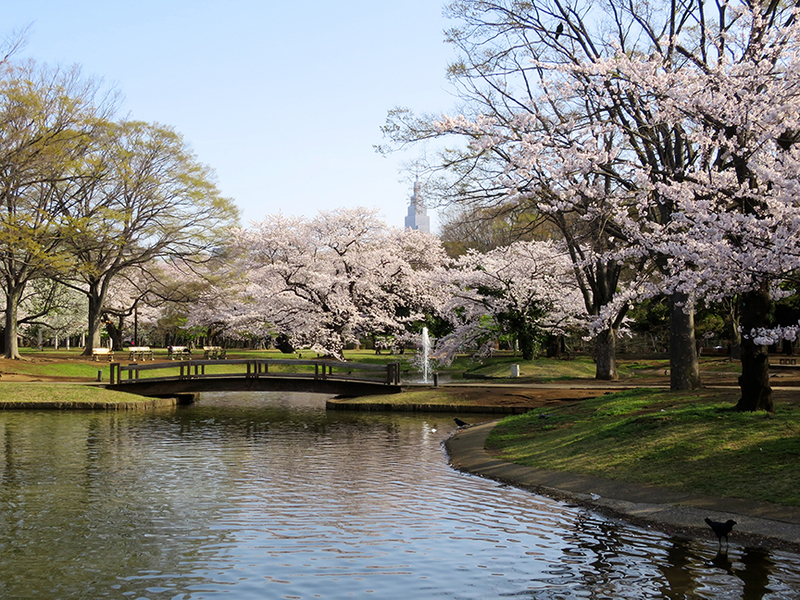 There are lots of huge cherry trees that bloom from late March to early April, and the cherry blossom parties here are legendary. 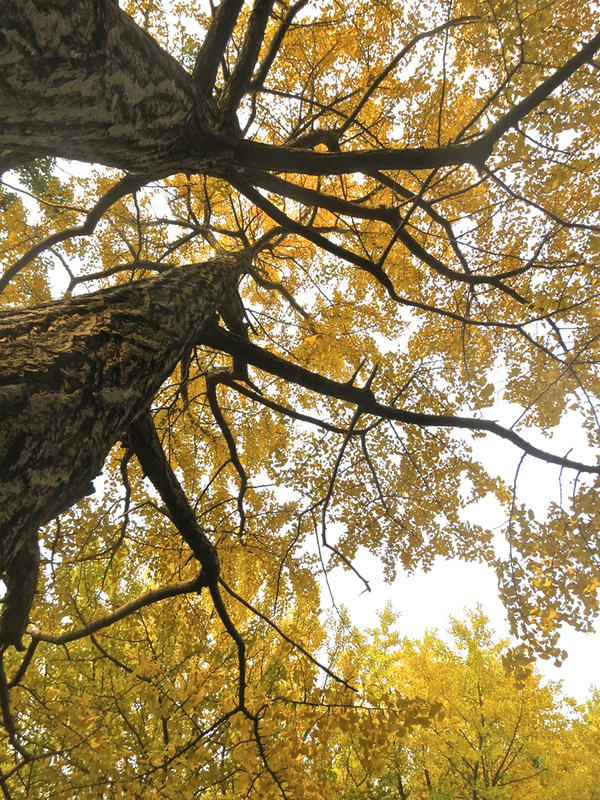 In fall, the ginkgo trees turn the park into a sea of gold. And then the maple trees join in. 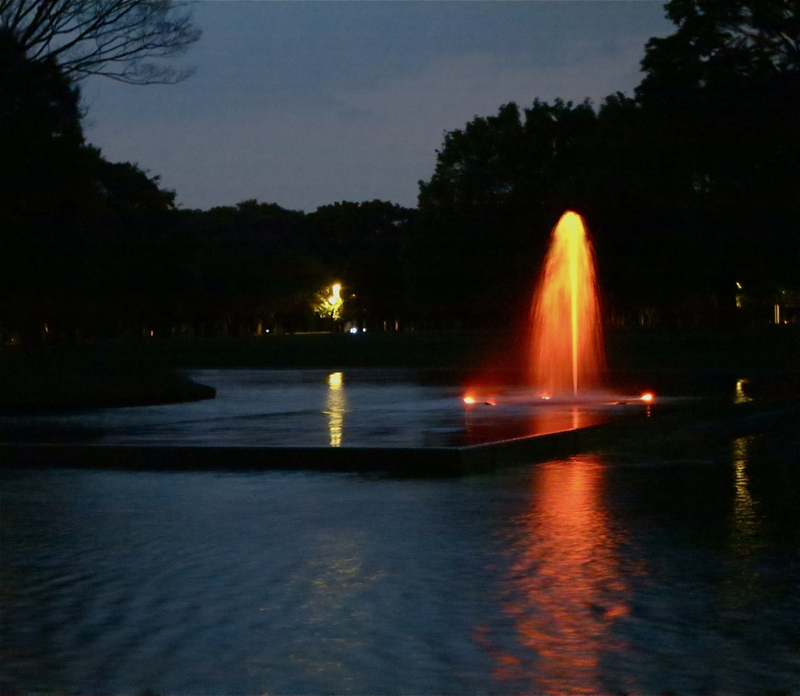 …after dark, the fountains put on a light show.